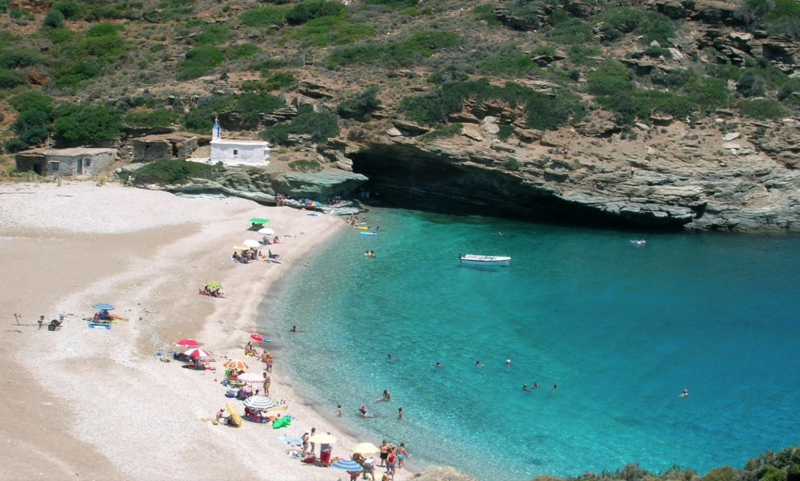 The route from Gavrio to the Vitali’s beach, is one of the most beautiful of the island and is about 15 km long. The beach has large pebbles and the sea has small oblong stones. The rocks are ideal for diving, while the views of the endless sea are wonderful. It features a tavern and sun loungers. Beach Vitali is one of the most beautiful beaches on the island. The road is good and there’s sun loungers.